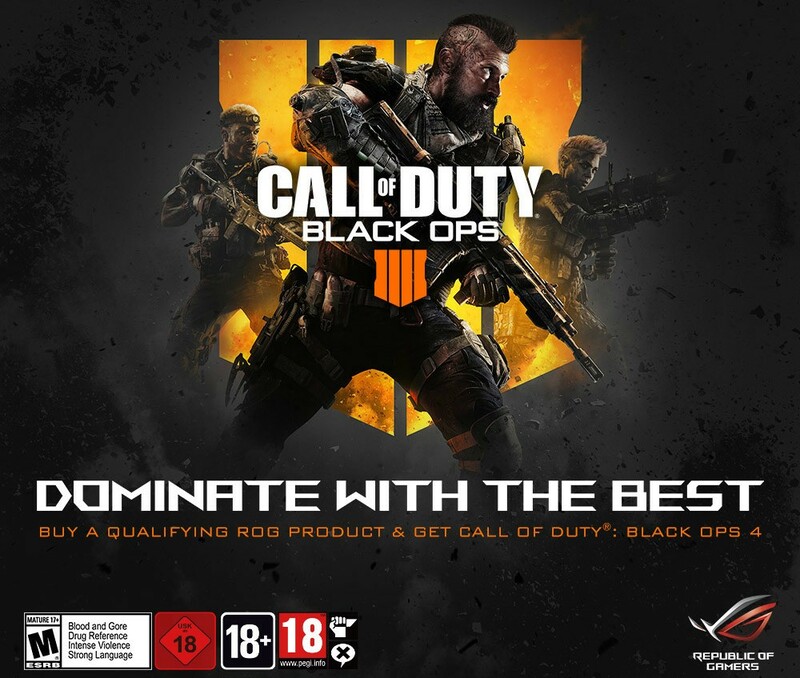 ASUS Republic of Gamers (ROG), announced a partnership with Activision, for the upcoming release of Call of Duty®: Black Ops 4 on PC. From September 10th to October 12th, ROG will be the first digital PC game bundling provider of Call of Duty®: Back Ops 4. Consumers can gain access to the game by purchasing an eligible ROG product during the promotion period. With a strong dedication to PC gamers, the Call of Duty team and ROG have worked closely on a unique collaboration with their AURA Sync technology across multiple product lines. ROG worked with Activision to incorporate customized AURA Sync capabilities and effects within Call of Duty: Black Ops 4 for PC to AURA Sync capable devices. AURA Sync coordinates colors and effects with compatible RGB-lit products like desktops, headsets, keyboards, motherboards, notebooks, and mice, among others, making it easy for users to personalize their entire gaming set up to a consistent look and feel that reflects their gaming persona or the feel of the game being played. With the AURA Sync integration within Call of Duty: Black Ops 4, actions within the game trigger the RGB light effects to enhance gameplay, reflecting the intensity of the game through the user’s PCs and components, creating a more immersive experience.